Comic books are amazing entertainment, amazing educational tools and amazing investment opportunities. But if you’re a comic book beginner, they can be intimidating– walk into any comic book store and you’ll be overrun with options. How are they organized? What’s the difference? What would I like? What should I start with? 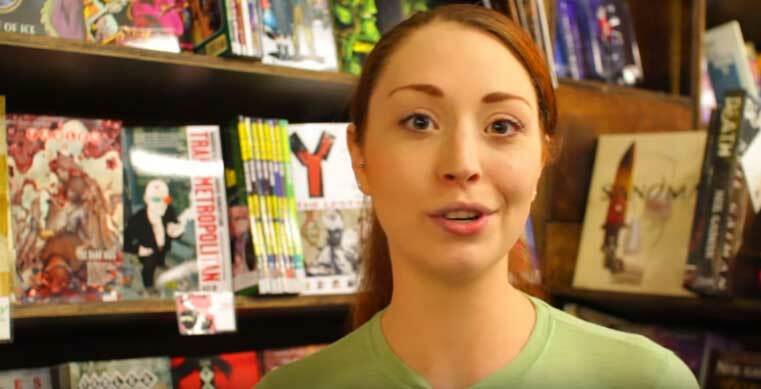 Luckily, Danni and the good people over at The Weirdlings have got us covered. They put together a long list of comic books that are great for beginners, and for anyone looking to start getting into comic books. Everyone’s heard of The Walking Dead television show. Some people even say it’s one of the best shows to ever hit tv. But did you know that the tv show is actually based off of a comic book? And you know what they say about originals vs remakes! Do yourself a favor and check out this comic book series even if you’re not a beginner! Check out The Walking Dead Comic Book on Amazon. The premise of this story is very simple– what would’ve happened if instead of landing in Smallville, Superman landed in Soviet Russia? It’s technically falls within the superhero genre, but because the story is so extraordinary and unique, this is a story that can be enjoyed universally by fans of all genres, making it a great comic book for beginners. Check out Superman: Red Son on Amazon. Transmetropolitan is a great comic book for beginners who are interested in the action genre. Taking place in the 23rd century, lead character Spider Jerusalem takes us through his futuristic city and his interesting day-to-day life, where he gets caught up in some of the most ridiculous situations ever. Preacher is definitely not your run-of-the-mill comic book– it will make you question the “big questions” in life. And with guns, alcohol, demons and general violence, it’s also a bit more risque than most comic books you’ll find. But if that sounds like your style, then this would be a great starter comic book! It’s a storyline we’ve heard in some form or another before– all male mammals on the planet suddenly die, except for lead character Yorick Brown and his pet monkey. The series takes us through his journey to figure out what this happened. Check out Y The Last Man on Amazon. Did we miss any? Have more suggestions? Leave them in the comments below!